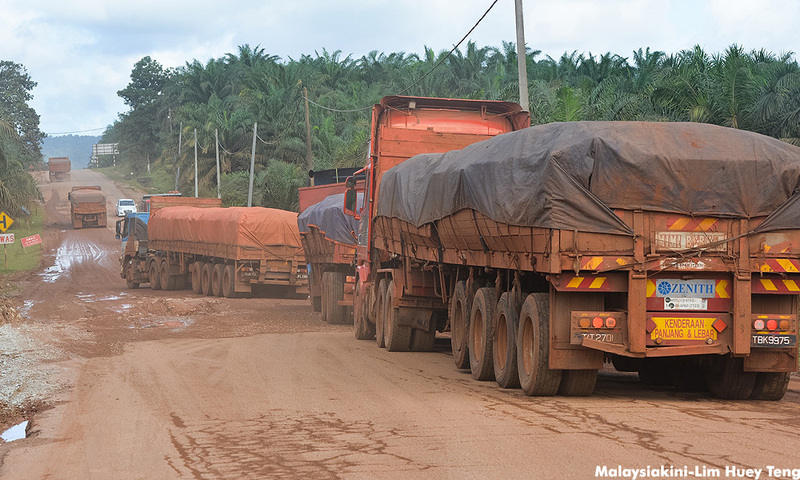 The fate of 323 settlers at three land schemes involved in bauxite mining activities three years ago, became the main topic of discussion during the public hearing on mining and bauxite standard operating procedures (SOP) held in Kuantan today. Chairperson of Kami Anak Felda Bukit Goh, Mohd Bakri Abdul Majid, said most of the settlers were upset as until today the government has yet to allow the bauxite mining activities to continue although the moratorium was withdrawn on March 31. "The parties involved are just concerned over the SOP and the effects of pollution when mining is carried out, but not many sympathised with the Felda settlers in Bukit Goh, Bukit Sagu and RTP Bukit Goh who had lost their source of income over the past three years. “A majority who came today for the public hearing session was not really interested in the SOP to be presented but they just wanted to hear when they will be able to continue with the bauxite mining activities. "So I hope the relevant parties will come down to the grassroots level to see for themselves the problems faced by the settlers and as the second generation of Felda settlers, I feel disappointed if the government does not allow this activity to continue soon,” he told Bernama today. Meanwhile, Felda Bukit Goh Welfare Committee deputy chairperson Nik Abdul Majid Nik Sin said most of the first generation of Felda settlers who had signed the bauxite mining contract had to depend on their children to support them after the moratorium was imposed. "In Bukit Goh alone there are 220 settlers involved in bauxite mining and of the total, only 30 people have earned returns of RM800,000 to RM2 million after the oil palm trees were cut down and the land was mined for bauxite. "But for the others where the trees have been cut down, but no mining was carried out, they are only left with land with craters of between six and nine metres deep. "It is impossible for us to have a replanting programme and we do not blame the contractors as it was the government that had stopped the heavy machinery from conducting any activity including levelling the land during the three years,” he added. Meanwhile, Deputy Minister in the Prime Minister's Department Fuziah Salleh who is also Kuantan MP hoped the government would not compromise on environmental sustainability and public health by allowing the bauxite mining activities to take place.